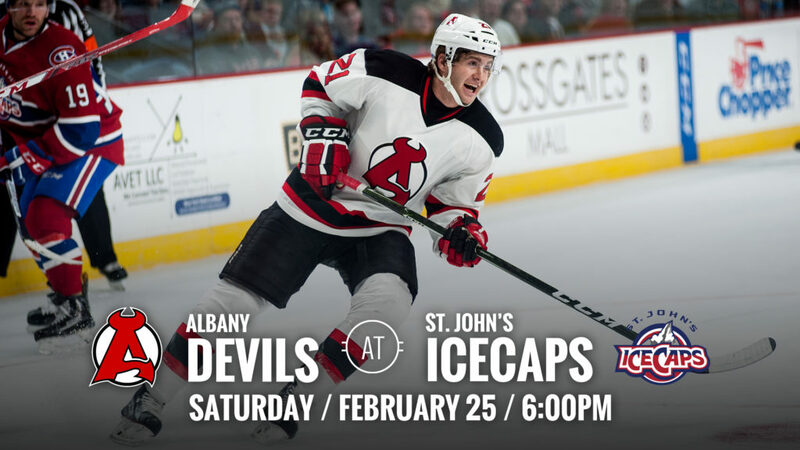 ST. JOHN’S, NL – The Albany Devils close out the weekend in St. John’s when they face off against the IceCaps Saturday for a 6:00 pm EST puck drop at Mile One Centre. 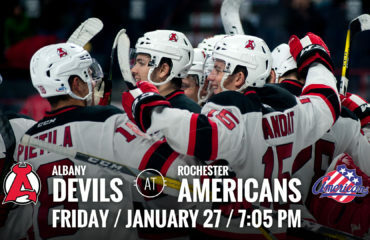 The Devils are coming off a 3-2 overtime win Friday against the IceCaps. 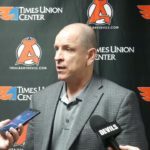 Albany’s record stands at 31-23-1-1 while St. John’s record is 24-23-7-1. 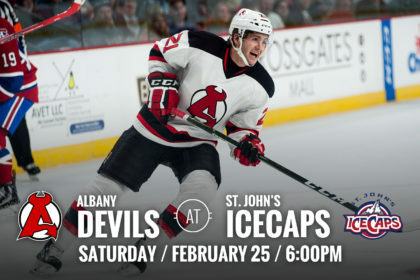 Overtime Hero: Kevin Rooney netted the overtime winner Friday night at St. John’s to give the Devils a 3-2 win over the IceCaps. 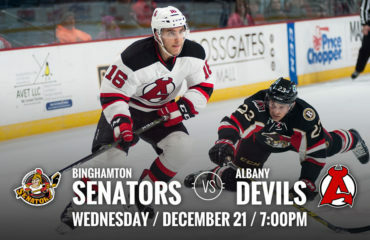 This is his second overtime winner so far this season, the last being on Jan 18 when the Devils beat the Syracuse Crunch, 3-2. Multiple Point Game: Karl Stollery and Rooney each walked away with two points during Friday’s outing. 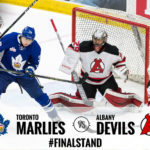 Stollery picked up the assists on Ben Thomson’s game-tying goal and Rooney’s overtime winner. He has 13 points (1g-12a) in 41 games played so far this season. 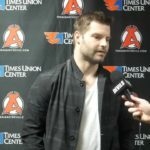 Rooney also picked up two points with the game winner and the assist on Ryan Kujawinski’s goal in the third. So far this season, Rooney has 15 points (10g-5a) in 56 games played. Overtime Excellence: The Devils are 8-1 in games that have gone to overtime so far during the 2016-17 season. 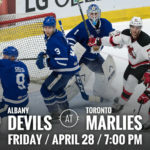 In games that have gone to either overtime or a shootout, the Devils are 10-2. 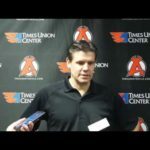 Albany has outshout opponents 38 to 18 in overtime this season, including 7-0 last night.